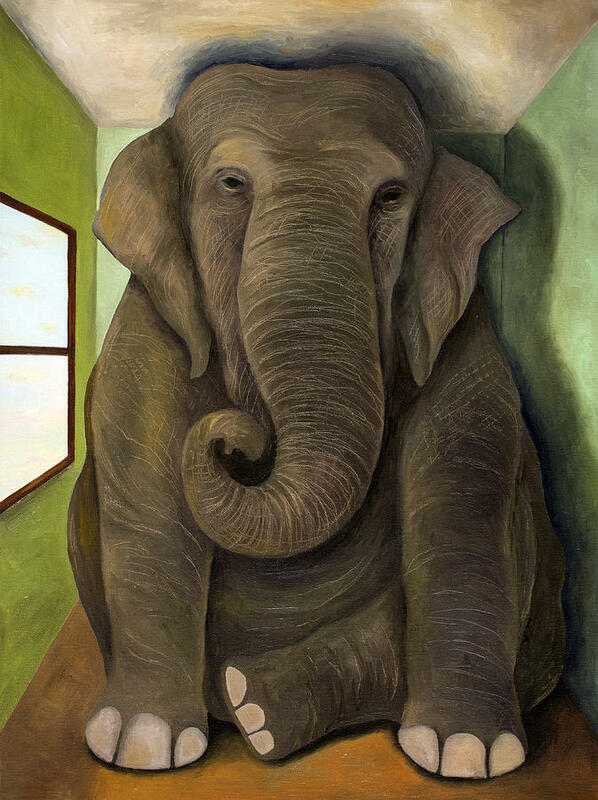 With each passing storm the elephant grows larger… I almost oppose using the magnificent elephant in this context as it too is a victim but it works. How much larger can it grow? I’m convinced that it could fill the room, compressing every being to the wall and the squished denier would still be singing his song.